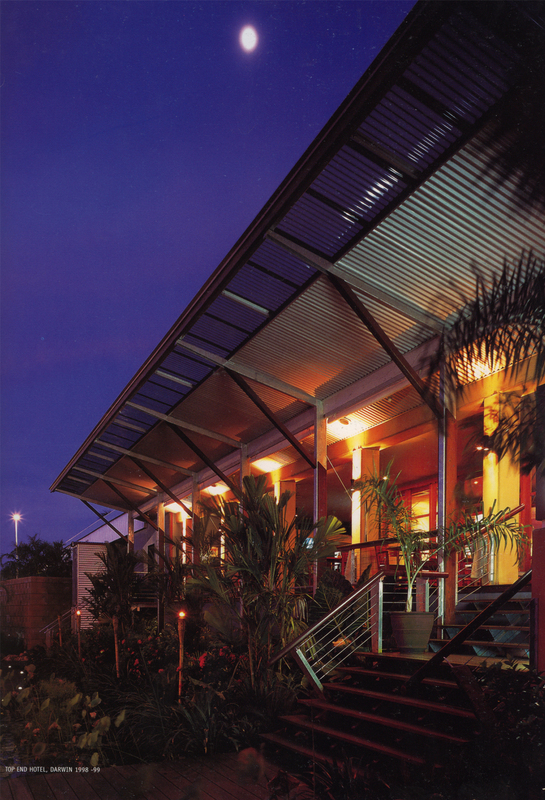 The project is a 1998 total overhaul of a 1980s brutalist lump in Darwin’s CBD. The redevelopment ideas were developed with Mike Willesee’s Transmedia Group architect, Patrick Nicholas, to respond to the client’s intention to create a welcoming hotel with a truly local touch for local people. 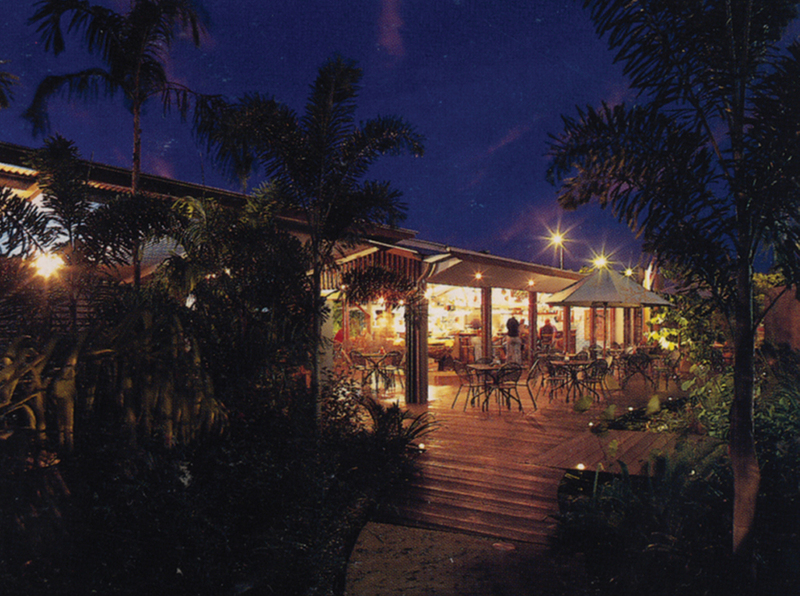 The result is a series of redeveloped bar/ restaurants (4), a new garden bar, ‘Lizards’, and a relocated drive-thru bottle shop - all caried out in Top End style, but catering to different types of clientele. Troppo worked down to the last detail, in part in association with Melbourne’s David Lancashire Design for its graphic and signage design, as well as develping bar names and themes... There is a boat-prow pulpit, batwing-inspired lights over pool tables, escarpment waterfalls, billabongs, ironwood handbasins, floating boulders, bushpole fencing, a palm tree mirror and goanna gargoyle... All very touchy, feely, but Top End airy, informal and fun. The project was developed under a construction management process with staged planning and building approvals; and is a tribute to the Quantity Surveyor’s cost-tracking, the Builder’s management skills, and the tradesmen’s willingness to ‘be cretive’.